(Las Vegas, Nev.) Sept. 22, 2010. . . .Epic Rides, producer of the Kona Bikes 24 Hours in the Old Pueblo, will host the largest one-day race cash purse prize in the mountain biking industry at the 2011 Whiskey Off Road in Prescott, Arizona on May 1, 2011. The $20,000 purse will be split in half between the top ten male and female competitors for a unique equal payout opportunity in the world of bike racing. “This equality is inspiring to women and is a testament to the uniqueness and individuality that mountain bikers embody. An equal prize purse nurtures independence, encourages tenacity, and adds legitimacy to women’s racing,” said Heather Irmiger, 2009 U.S. XC and Marathon National Champion. Epic Rides anticipates 1,500 riders (1,400 amateurs/100 professionals) will participate in three solid days of racing, riding and celebrating the mountain bike in Prescott, AZ from April 29th – May 1st. The weekend will kick off with a pro level fat tire Criterium, a well appointed industry vendor and tech expo, and beginner level “15 proof” fun ride on Friday (one proof = 1 mile.) Saturday will present a complete day of amateur riding in the 25 and 50 proof distances complimented by live music on the courthouse lawn and a full schedule of ancillary events and activities centrally located in downtown Prescott. The showdown for the cash purse will commence Sunday morning, after a spirited evening of celebrating on the historic Whiskey Row by the amateurs. The pro and amateur 50 milers will ride the same course. 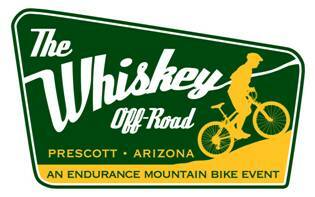 The Whiskey Off Road course presents participants with an authentic mountain bike experience including an abundance of quality technical singletrack combined with very legitimate climbing and descending on a variety of terrains. Now in its 8th year, the “Whiskey,” as it’s known, is an event capable of entertaining everyone, including the non-rider. With all event activities based in a centralized downtown location only 1.5 hours north of Phoenix, AZ the events accessibility and scope of accommodations are sure to entertain the anticipated 5,000+ attendees comfortably. Registration for professional riders opens November 1, 2010 and amateur registration opens January 1, 2011.